There were a lot of reports coming out across the interwebs this week (a story we avoided) suggesting that AT&T had somehow eclipsed Verizon as the number 1 carrier in the U.S. and Big Red is not about to let anyone think they aren’t ruling the air (see what I did there?). According to the info we’ve just received, it appears as if earlier reports were comparing the wrong sets of numbers. If we look at the shots above, you can see that Verizon has 102.2 million customers (including all connections) which is almost 7 million ahead of AT&T at 95.5 million. 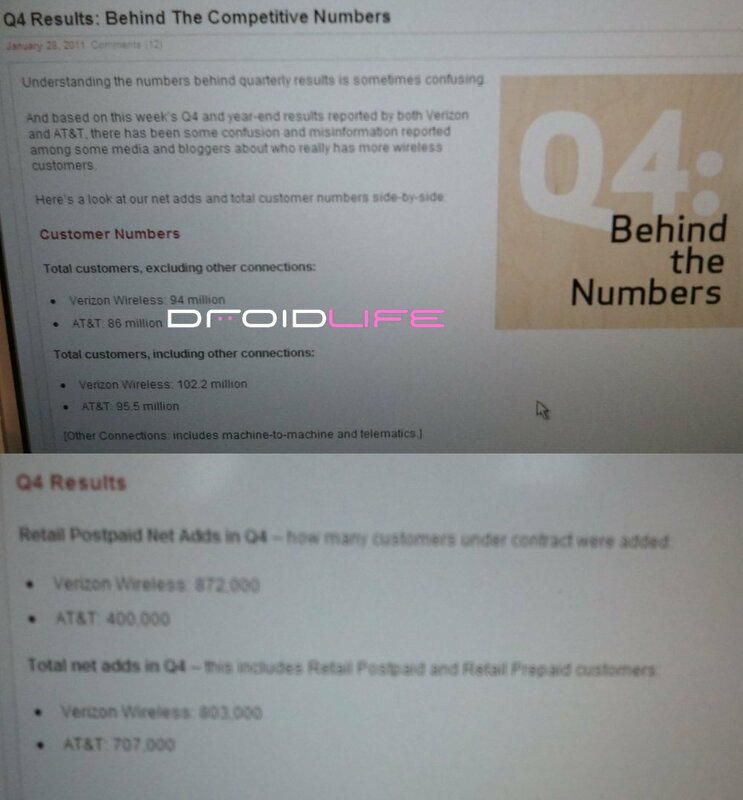 They also want to make sure everyone sees their postpaid net adds for Q4 at 872,000 which is more than double AT&T’s. And now that we’ve cleared that up, can we get back into drooling over the Thunderbolt which should be here in less than a month?